An intimate grove of aspens shelters a small, grassy meadow harboring a wildflower cornocopia of sneezeweed and white daisies. 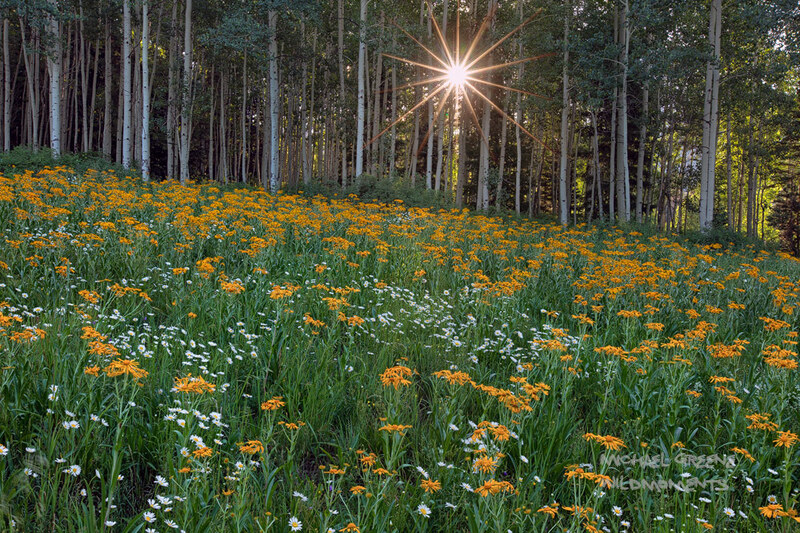 This sunburst was shot on a summer morning while exploring the San Juan Mountains near Pagosa Springs, Colorado. . Photo © copyright by Michael Greene.